New Reuters report provides data and analysis on digital news formats and their impact on the news industry. 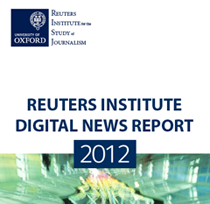 The 2012 Reuters Institute Digital News Report “Tracking the Future of News” finds a harmonious relationship between nascent digital news services and traditional sources of news. The purpose of the report, which is designed to become a yearly venture, is to track the transition of digital media and its long term and short term effects on the news business. Director of the Reuters Institute for the Study of Journalism, David A. L. Levy, explains that while a mass of data currently exists concerning digital and social media interacting with the news field, “much of it is partial, contradictory, or specific to a moment in time.” To resolve this confusion, the Reuters Institute Digital News Report brings together the results of an annual survey, a series of articles assessing the data, and an individualized summary of the most important data points. Focusing on the U.K., the survey provides research and comparative analysis on four additional countries, including Denmark, France, Germany and the United States. In all countries included in the survey, the results revealed a disruption in the news industry on nearly all fronts by the advent of digital technology. Interestingly, the survey found that disruptions appear in different formats according to “media structures, geography, and the culture of individual countries.” These variations are important for the news industry to note in order to properly design an appropriate and strategic response to the evolving market. According to the report, significant differences exist not only in terms of frequency of media usage (almost 9 in 10 Germans access the news at least once a day compared with only 3 in 4 people in the U.K.) but also in the adoption patterns of media consumers in different countries. For example, the rapid switch from print to digital in the U.S is not being replicated in exactly the same way as in European countries, possibly because Europeans are less enthusiastic than Americans in both sharing news and in other forms of digital news participation. The report also pointed to age differences in predicting news consumption patterns, with older groups primarily accessing news via television broadcasts and other traditional formats. In contrast, younger generations tend to gravitate toward Internet services which foster the sharing of news and varied types of access. The report’s findings dispel previous notions that younger generations are disengaged from the news, with survey results showing 48 percent of 16 to 24-year-olds are the most involved in online news and are also more adept at engaging in varied forms of news offerings. The Reuters Institute survey backed similar studies reporting an increase in news consumption among owners of mobile devices, with unremitting Internet access allowing consumers to frequently check outlets for up-to-the-minute reports. Results further reported that mobile phone usage to access news sites now stands at over 20 percent in all countries surveyed, with Demark tallying the highest usage at 32 percent. While tablets still account for a small percentage of news consumption compared to mobile devices and computers, the Reuters Institute Report finds that those who own tablets access news sites more frequently and 44 percent of owners claim tablets provide a better news experience than those offered by traditional online outlets via the computer. 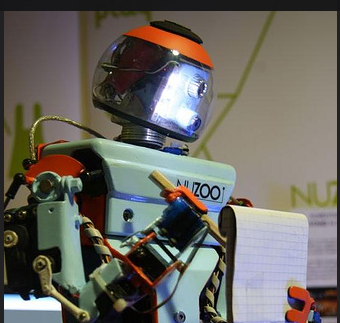 The full Reuters report, along with raw survey data and essays can be found here.